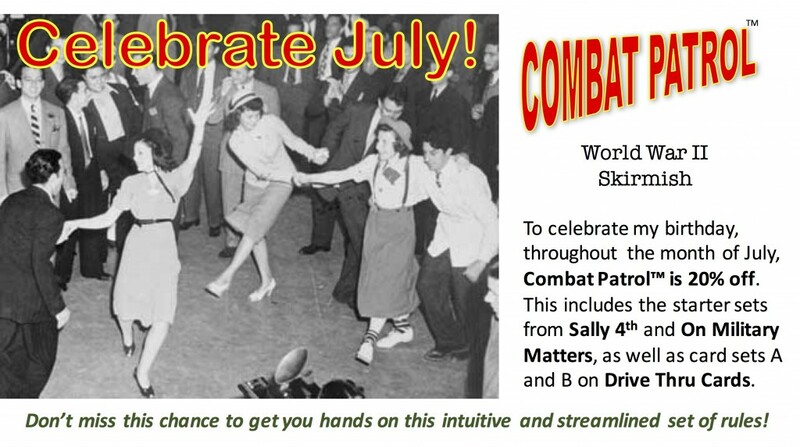 July Sale on Combat Patrol(TM): World War II | H.A.W.K.S. •The decks of cards can be purchased at DriveThruCards. Start sets (two Action decks, an Activation deck, and the printed rulebook can be purchases from Sally 4th (http://wargamesbuildings.co.uk/Combat-Patrol) and On Military Matters (http://onmilitarymatters.com/pages/dfindex.php). See http://www.bucksurdu.com/Buck_Surdu/Combat_Patrol.html for more information about Combat Patrol™: World War II, including demonstration videos and lots of free downloads.